Adding new smartphones to the family's wireless plan can be a scary endeavor, especially as most of us have already seen our wireless bills for just one smartphone surge above $100 a month. Are there any tips for getting hot devices like the iPhone 5 at a discount? Is there a trick to avoiding taking out a second mortgage to pay for an additional smartphone on the family plan? In this edition of Ask Maggie, I offer some advice. I also offer my views on whether it's really worth it to buy the iPhone 4S instead of the iPhone 5. We are considering getting our daughter an iPhone 5 for her 18th birthday at the end of the month. Are there any tricks to doing so cheaply? My husband has an iPhone through work, but we pay a ton for mine! Our bill for my iPhone on Verizon Wireless is $108 a month (with taxes) plus we do not have an upgrade yet. So I am guessing that we'll have to pay full price for her phone, which is $500-600? Any tips??? The short answer to your question is that there isn't much you can do right now to get a discount on a new iPhone 5. But when it comes to the service, there is some good news. 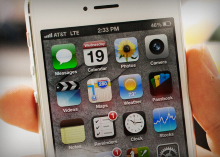 Adding a new iPhone 5 to Verizon's family share plan might not be as bad as you think. But you may want to consider some other alternatives as well. Below I've outlined as many options as I can think of to help you make an informed decision. You've got a couple of options. You can get the subsidized $200 price on the iPhone 5 for any new line you start as part of your service. This means that if your daughter doesn't have a phone already and you add a new line to a family plan, you can get the discounted price for the iPhone 5. If she already has a phone and is not yet ready for an upgrade, then you would have to buy the iPhone 5 from Verizon at full price, which is $500. The other option is to sign up for a new line, get the subsidized phone, and keep her old line until it expires. After it expires, you can cancel service on that line. This would mean that your family would temporarily have three lines: yours, your daughter's and a third non-smartphone line. The third phone line can be used for someone else in the family or you can cancel it once the contract on that phone expires. If you plan to take the subsidy so you save $300 on the new iPhone 5, and you later plan to cancel the old line, it's only worth doing so if the contract expires in the next 10 months. Otherwise, you won't save yourself any money since carrying the additional line until you can cancel is another $30 a month under Verizon's family share plan. Unfortunately, if you have to pay for a new iPhone 5 at full price without a subsidy, there aren't any good deals right now. It's still too soon in the sales cycle to get a used iPhone 5 at a discount. But if you wait until after the holidays, there is a chance the price could drop about $50. The other option is to get your daughter an iPhone 4S. It's last year's model and sells brand new for $100 less than the iPhone 5. And you may be able to find a used one for even less. I don't generally recommend doing this, but a $100 saved is a $100 earned. So you may want to consider it. As for getting a deal on the plans, you've essentially got two options. You can give up your existing plan on Verizon and convert to a family Share Plan on Verizon. The other option is to keep your existing plan for your phone, and you can sign up your daughter for an iPhone plan on a different carrier. AT&T and Sprint also offer the iPhone 5. Getting a new contract with AT&T or Sprint means you get the subsidized price. So you could get a new contract for her on one of these providers and pay only $200 for the device. But going this route would likely cost you more money on the service. Assuming you keep your iPhone service on Verizon, you could get AT&T's least expensive individual plan, which is $90 a month before taxes and fees. Sprint's least expensive plan is $80 a month before taxes and fees. Adding this to your existing $108 a month bill means you'd be paying about $190 to $200 a month for service for the both of you. But don't fret yet, there are less expensive options. There may also be some prepaid operators in your area offering the iPhone 5. For example, Cricket Wireless, owned by Leap Wireless, sells the iPhone 5. T-Mobile is another option. It doesn't sell the iPhone, but because it's a GSM carrier, an unlocked GSM version of an iPhone can work on its network. Going this route, means that you'd be paying full retail for the iPhone 5. One thing to note is that because T-Mobile doesn't officially offer the iPhone, you have to get an unlocked GSM version of the phone. If you use Cricket, you must buy the iPhone 5 through Cricket either online or in one of its retail or partner locations. You can't use an unlocked iPhone 5 from Apple or any other carrier on Cricket's network. To help you really make the apples to apples comparison (no pun intended), I've taken a closer look at Verizon, T-Mobile and Cricket to give you an idea of what the service costs are. On Verizon's new family share plan, you pay $40 for each smartphone on your plan, which totals $80 a month for two smartphones. Data is a separate charge, and you can buy it in different increments. I'd recommend a minimum of 2GB of data for you and your daughter, which is $60 a month. This means that you'd be spending a total of $140 a month before taxes and fees. But keep in mind this includes unlimited talk and texting, plus free Wi-Fi hotspot tethering. If you wanted to add another 2GB of data, it would be $10 more a month. So that would be a total of $150 a month before taxes and fees. (4G of data is $70 a month.) You are already paying $108 a month for voice, text and data. Since I don't know what the pre-tax cost of your plan is, it's difficult to compare precisely. But it's roughly a difference of $32 or $42 a month. If you wanted to get the phone subsidy for the new iPhone and keep your daughter's existing line until it expires or for another member of your family, you'd pay an additional $30 a month. The total would then be $170 or $180 a month, depending on which data plan you get for the two smartphones. One thing to consider when comparing different services is network coverage and speed. On Verizon, your daughter will be able to access 4G LTE speeds nationwide. Verizon has the biggest 4G LTE network deployed today. And since she'll be going off to college soon, the phone is likely to work wherever she decides to go. The downside is that you will have to share data with her, which means you will both have to monitor your usage to ensure you don't exceed your monthly allotment. But given that most people don't exceed even 1GB of data per month, you should be fine with a 2GB or a 4GB plan. One benefit of having a service from T-Mobile is that the company doesn't charge for data overages. So even if she exceeds 2GB of data in a month, her service will just be slowed down, and you won't have any surprises on your bill. The other important downside to note is that the iPhone 5 will not operate on T-Mobile's 3G HSPA or 4G HSPA+ network everywhere it's offered. The reason is that T-Mobile is using AWS spectrum for these services, and the the iPhone 5 (and other iPhones) do not support AWS frequencies. But T-Mobile is repurposing some of its spectrum, and it has a plan to use PCS 1900 MHz spectrum for its HSPA+ service. This also happens to be one of the frequencies that AT&T uses for its HSPA and HSPA+ services. Since the iPhone 5 supports HSPA+ in the PCS band, these devices will operate at fast speeds. But T-Mobile has only announced two markets so far that are using the PCS spectrum to deliver HSPA+ service: Las Vegas and Kansas City. That said, T-Mobile plans to upgrade more cities soon including Seattle, Los Angeles, Washington D.C. and the New York metro area. In fact, some T-Mobile subscribers are already seeing improved speeds in some of these additional markets. Another potential problems is that T-Mobile doesn't currently support 4G LTE service. But it plans on deploying the service over the next couple of years. Still, even after it starts building the LTE service, the current generation of the iPhone 5 likely will not be able to use this network. Cricket's prepaid, no-contract plan offers unlimited voice, text and data up to 1GB for $55 a month and that includes all taxes and fees. Combining that with your $108 Verizon service is a total of $163 a month. But there are a couple of things you need to consider when you sign up for Cricket's service. The first thing is to make sure that Cricket operates in your area. The company claims to have a nationwide network built on a combination of its own network as well as roaming partners. But the network doesn't quite reach everywhere. Also, because Cricket only uses PCS spectrum in certain markets, and it uses AWS spectrum in others, there are some markets where Cricket doesn't offer the iPhone at all. And lastly, even if you are in an area where Cricket can sell the iPhone, you still won't be able to get 4G LTE service, because the frequencies in the iPhone and the frequencies that Cricket is using to deploy this service are incompatible. When you consider price, coverage and network performance, I'd recommend that you add your daughter to your Verizon plan and get a Family Share plan for the two of you. In terms of pricing, it will likely be cheaper than buying an individual plan for her from another carrier and keeping your existing iPhone plan. Plus, she will be getting better network coverage and faster speeds. The family share service isn't cheap and it does restrict you to a certain degree. But I think even with the data limits, it's still a better deal with better network coverage and network performance than what you will get with an iPhone on these other carriers' networks. I am curious if you think I should buy the iPhone 4S or the iPhone 5. I would like to upgrade from my iPhone 4 on AT&T. I already have a ton of accessories, ie chargers, speakers etc. for the iPhone 4. I'm unsure whether it's worth the extra money to get connectors, charging accessories, etc. for the iPhone 5. It's also worth mentioning I currently have a grandfathered unlimited data plan with AT&T, but there is no 4G coverage in my area. So I don't think I need it. And I also don't know if I'd still be able to get the unlimited data plan for the 4G iPhone 5. In general, I suggest that people buy the latest iPhone mainly because Apple only introduces one iPhone a year. And when you buy a new iPhone, you'll likely keep it for two years, since that's that length of your contract. If you get last year's model iPhone when the new one is already out, the technology in the device is at a minimum a year old. And in the fast paced world of cell phone technology, that's a long time. What's more, by keeping up with the latest in hardware from Apple, you are assured that if you keep that device well past your two year contract, Apple will probably still be supporting the device. And the new software updates that come out will also be supported on the device. 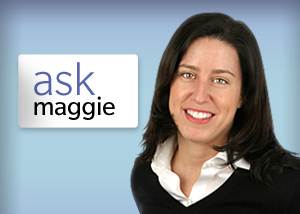 More from Ask Maggie The big squeeze: How to get the most out of your wireless plan Apple Maps stinks, iOS 6 leaks data: Should I get the iPhone 5? iPhone 5 or Samsung Galaxy S3? And why Sprint LTE isn't enough Ask Maggie is back! Which iPhone 5 is right for you? 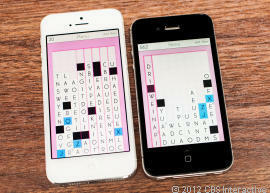 Will AT&T's LTE network be more reliable than 3G for the iPhone? Even though 4G LTE is not offered where you live now, it may be coming in the next year or so. Since you didn't mention where you live I can't say for certain. But AT&T is expanding its network. So there is a chance that you may get the 4G LTE coverage before your new cell phone contract expires. And finally, you are able to keep your unlimited data plan if you upgrade to an iPhone 5. It doesn't matter which device you upgrade to. So long as you have not made any changes to your plan like adding a tethering service, you will be able to keep the unlimited data. So what do I think you should do? I would probably buy the newer version of the phone. But if keeping costs low is your main priority, I think you'll be fine with an iPhone 4S. For phone calls from Turkey to other countries the best to use AT&T calling card. International calls from United States will be more cheaper for your purse with CheapStreet international calling card. The best way to make a call from United Kingdom other country is calling card Royal Call.